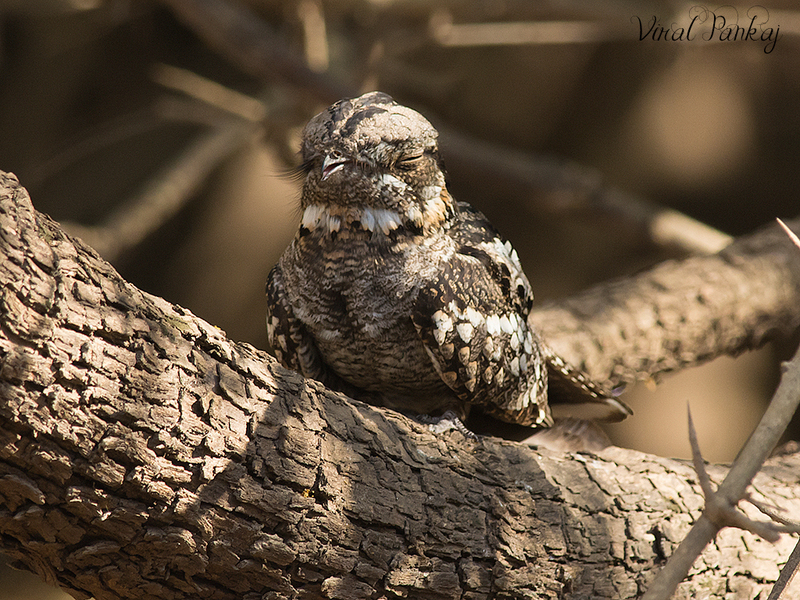 When we start our birding we want to see the Nightjar. 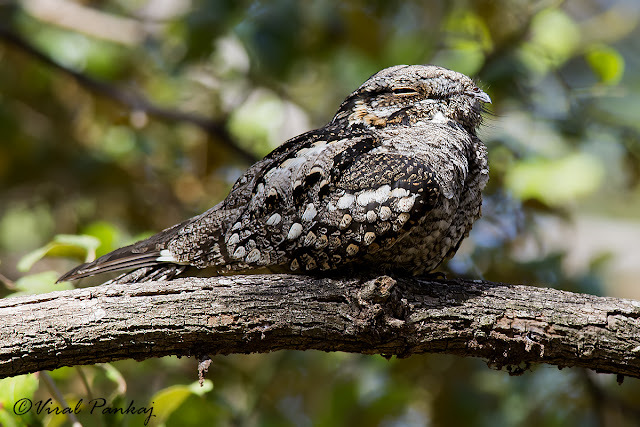 Nightjars are usually very difficult to locate because of their supreme camouflage. Plenty of time we come across Nightjar in our night journey, but never got chance to photograph it. First time we get this chance at Gir Wildlife Sanctuary. It was our third visit to Gir Wildlife Sanctuary. We try to visit Gir Wildlife Sanctuary almost every year because it is our daughter’s one of the favourite place. It was our 9pm to 12pm safari. Our guide was surprisingly well acquainted with many birds. So we did good birding with him. We were passing by a beautiful water stream, and suddenly saw a Jungle Nightjar resting on a lower branch of tree in broad daylight. It was resting quietly with eyes closed. Indian nightjar sat still on the perch, concealed by its plumage; it is then difficult to detect, blending in with the patterns of the tree branch. We saw again same nightjar resting in same branch again in our very next year Gir trip on rout no 6 of Gir National Park.